Both French press and pour over coffee give coffee fans the chance to control timing and flavor intensity. Since both of these brew methods require coarse ﻿﻿ground coffee, timing is critical to guarantee great flavor. You'll need a burr grinder and the right coffee pot for your preferred brew. 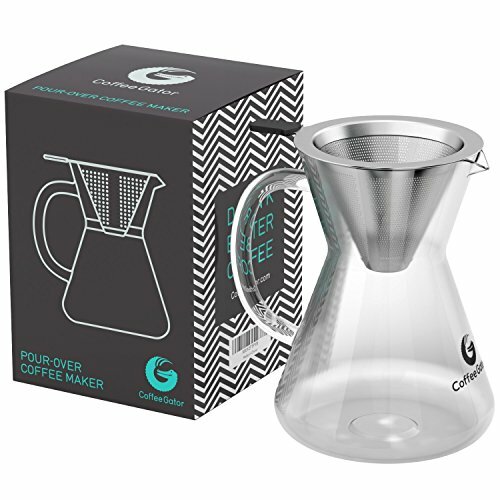 Pour over coffee is a manual brewing method that puts many things under your direct control. The wetting of the grounds, the amount of time the grounds are exposed to hot water, and the brewing time are all controlled by you as you add hot water to the pour over brewer. When making pour over coffee, your needs are simple. You need a filtering vessel, coarse grind coffee, hot water and a kettle with a ﻿﻿narrow spou﻿﻿t. Because you're manually wetting the grounds, you need to watch the grounds as they take up an initial dose of water, so a narrow spout makes that easier to see and to control. Flavor is one of the primary pour over coffee benefits. Another plus found in pour over coffee vs drip is that many pour over coffee pots are made of completely non-reactive materials. If exposure to plastics is a concern, you might prefer a glass Chemex coffee pot. To brew Chemex coffee, you need a Chemex brewing carafe, the thick paper Chemex filters, coarse grind coffee and a hot water kettle. You can control the intensity of your coffee flavor by pre-wetting the filter, speeding or slowing the rate of water pour, and by the amount of grounds you add to your filter. 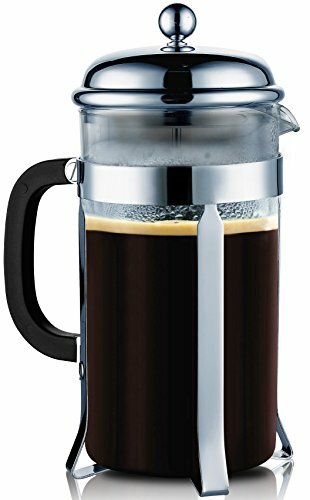 French press coffee is made by steeping coarse grounds in hot water for a specific time (generally four minutes) and then manually separating the grounds from the hot water with a plunger. French presses are generally made of glass or stainless steel with a metal plunger and handle. Some pots use polypropylene in their bases, lids and handles. However, if reducing your plastics exposure is important, know that you can purchase a French press pot with no plastic. Some French press pots also feature a dual wall construction to keep your coffee hot. To brew coffee in a French press, you need coarse ground coffee (one tablespoon per cup of coffee per experts at The Art of Manliness), water just off the boil, and four minutes. Many people like to warm the carafe with hot water. Discard this first pour, then add your grounds. Wet them thoroughly as you pour slowly, or add a bit of water and stir the grounds before pouring the rest of the water into the carafe. Let this mixture steep for four minutes, then depress the plunger. Any time you make coffee, you're engaging in three basic steps: Wetting, dissolution and diffusion. If you have a drip coffee maker, the wetting or soaking of the grounds happens in the filter basket. Dissolution and diffusion occur in the dripping process as the hot water draws the good stuff such as flavors and caffeine, if you like, out of the coffee. Managing the timing of dissolution and diffusion are critical lest you draw the bad stuff (bitterness and acidity) out of your ground coffee. Too much time, heat or too fine a grind of coffee can create an oily, grainy and bitter cup of coffee. Many of us have lived with an electric coffee pot for years, and there is comfort in being able to simply hit the switch and let the coffee maker handle the hazards of hot water first thing in the morning. That being said, great coffee is certainly worth a little effort. Is French press coffee better than pour over in terms of safety? Pour over requires that you heat the water, set up the filter and the vessel, grind the coffee and manually add the water at a slow pace for quality diffusion and great flavor. A French press requires you to grind the coffee, pour the water, set the timer and plunge. Your ability to focus and personal taste will have to determine your favorite method. Great coffee is always worth the work. Both French press and pour over coffee allow coffee drinkers to get back to the basics of coffee.